In Star Trek, the Nexus is a nonlinear temporal continuum, a ribbon. In this ribbon reality appears to reshape itself in fulfillment of a person's innermost wishes. Those who have been in the nexus and returned describe it as a feeling of being wrapped up in joy. Captain Kirk and Jean-Luc Picard were able to escape it and save the Veridian system. 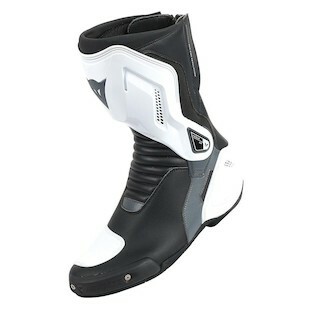 The Dainese Nexus boots will be like wrapping your foot up in joy. Well, as long as you consider joy CE rated protection. Thermoplastic polyurethane inserts on the shin protect you from your foot pegs if things get squirrelly. Nylon heel shock absorption inserts protect against impacts. Dainese's D-Axial jointed anti-ankle twist back system keeps your ankle facing the right direction. Replaceable plastic sliders round out the features on this protective street boot. While the Dainese Nexus boots will not give your feet a sense of euphoria like in Star Trek, the boots will protect your feet on a motorcycle. 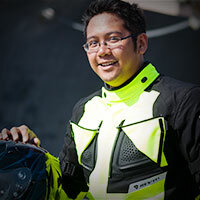 They won't make you the captain of a Starfleet Federation Galaxy-class starship, but protecting your feet will allow you to boldly go where no one has gone before...on a motorcycle.